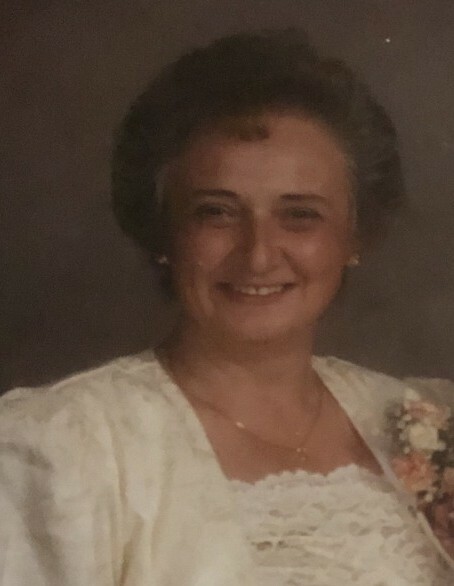 Dorothy B. Reeder Collins, age 76, of Manahawkin, passed away on Friday, April 12, 2019. Dorothy was born on February 25, 1943 in Lakewood, NJ. She is survived by her brother Lawrence Reeder, her sister, Donna Giberson (Joseph), her daughter Lynn Wilson Cruse (Steven), her daughter Robin Wilson Orlando, her son Robert C. Wilson, all of New Jersey; her son John Collins (Kathy) of King William, VA, her son Harry Collins Jr. (Michele) of Richmond VA, her daughter Gail Collins of Hickory, NC, her daughter Rosemary Robinson (Steve) of Atlanta, GA, her daughter Dawn Zimmerlink of West Virginia, and her daughter April McGowan of King William, VA. She is also survived by many nieces and nephews. In 1979, she relocated to King William, VA and lived there until 1992. While in Virginia, she worked at Kings Dominion Amusement Park, Captain George’s Restaurant, The Betsy Ross Restaurant and the Children’s Hospital of Richmond. In 1992, she returned to New Jersey. She was employed as a Medical Receptionist for many years at Southern Ocean Primary Care, Dr. Walter Miller. She truly enjoyed her work there and loved the patients. Prior to retirement, she helped many families care for their elderly loved ones at home as an in-home caregiver. She was most proud of her family, especially her 20 grandchildren (Nicole, Jacqui, Michael, Christa, Jason, John, Jennifer, Courtney, Brandon, Lauren, Ashley, Matthew, Ryan, Hannah, Tracey, Rachel, Breanna, Taylor, Virginia and Robert). She was affectionately known as “Mema” to them all. She was also a great grandmother of 10 children. Her other great love was cooking - she was always known for sharing her creations with friends and family. She loved talking with people and sharing the history of this area and its beauty. She often shared stories about the Reeder family’s blueberry farm in Cedar Run where she worked growing up, and of her grandfather, Hugh D. Bolton, a conductor on the Tuckerton Railroad, the first mayor of Harvey Cedars, NJ and most notably, the caretaker and cook for many visitors at the Marshelder Island Club off the coast of Long Beach Island. Dot or Dottie as she was always referred to by friends, will be missed by all who knew her. A memorial gathering will be held on Thursday, April 18,2019 from 6pm to 9pm at Maxwell-Tobie Funeral Home, 573 Mill Creek Road, Manahawkin NJ 08050. A memorial service will take place on Friday, April 19, 10am, at the funeral home. Interment of cremated remains will follow at Greenwood Cemetery, Cedar Run.